Please PM me all contest information and I will post them here. 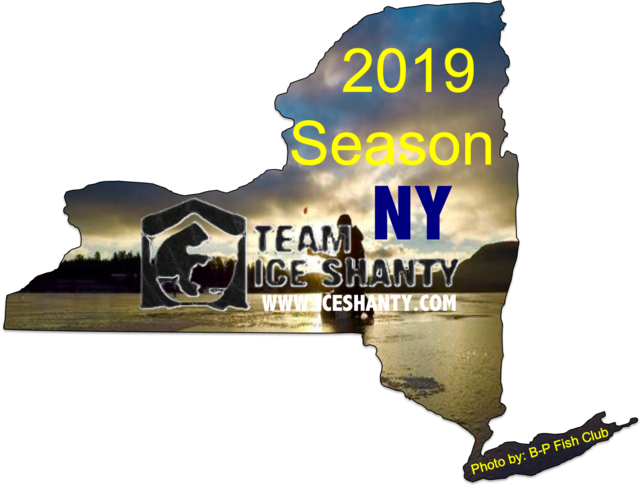 This is a statewide tournament event where anglers can fish any NY State waterway, using any legal angling method (ice fishing, open water from a boat, fishing from shore, pier, etc.) 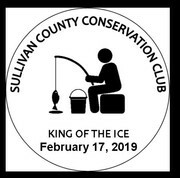 for 7 categories of fish (Pike, Trout, Walleye, Pickerel, Crappie, Yellow Perch, and Panfish), over a period of two months, any time of day, and compete for over $25,000 in cash and prizes to be awarded at the Batavia Downs Casino on March 16th at the awards ceremony. The Grand Cash Prize will be a random draw at the ceremony from all seven 1st place anglers. All cash awards are scaled up based on angler participation (full listing of guaranteed payouts can be found off of the main website). Anglers can also enter the optional Lunker Pool for $10 to go for some additional cash. There are over 65 weigh-in locations across the state and near most major waterways to bring fish in to (see full map of locations on the website). Online leader boards show the current leading fish along with the leading fish for the Weekly, Monthly, and Special Awards. Anglers can upsize their fish in any category throughout the event and may place in multiple categories, but may only place once in each category. 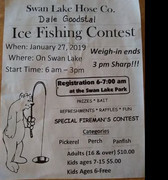 Anglers may enter the event at any time, but must register before 7am for that day's catch to count, otherwise their event will start at midnight. Anglers can also enter the new Catch & Release event (separate $27.50 entry) including the Pike, Walleye, and Trout categories. The C&R event will feature a 100% payout this year and registration is online only through the website. The event will conclude with a sportsman show, mingling hour, banquet, and formal awards ceremony to be held at the Batavia Downs Casino. 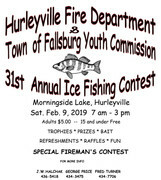 All Top-3 placing anglers in each category are required to attend with their fish and will be housed overnight at the Casino as part of their awards package - all fish will be inspected and scanned using metal detectors, then placed in coolers to have on display at the awards ceremony. Free transport to Hirsch Taxidermy will be offered for any fish being mounted. Salmon Derby for The Fallen Outdoors's photo. Reeling For Recovery. 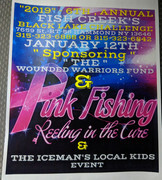 It takes places February 16, 2019 between 5AM and 4pm being held on all of Chateaugay and Chazy lake. All the money raised is being donated to CVFC the largest Opioid and Substance abuse rehabilitation centers in upstate NY. Grand Prizes are a Ion XD 10 Inch Auger, Eskimo Evo V2, and Vexilar FL-20 Propack. We have over 200 door prizes, 3 Fully day guided trips being given away and 25 raffle baskets with variety of themes. We will be having a kids casting contest, free samples from local vendors, lure companies on hand, and action going on all day. Registration includes a meal and one of the 200 door prizes we have to offer. Both lakes have pike and Lakers that can reach close to 20 pounds and are some of the most challenging lakes to fish. We will have weigh in stations on each lake and all lakers must come in alive. We will have the largest laker of the day and all other fish on display at the American Legion. 16 and over $20 kids are free!